I am so in love with the universality of a bodysuit. It can be easily combined with many bottom styles. In this article, I want to show you best trousers you can wear with a bodysuit. What you do need is to keep the balance: a spacious bodysuit should be teamed with a pair of skinny trousers, whilst a slim-fit bodysuit should be teamed with relaxed and loose-fit pants that can give you an additional volume. A fitted bodysuit will effectively frame your figure and make it visually more slender. If you want to try on a business style look, then you should go for a shirt-bodysuit. It can be ideally combined with tailored pants. In other words, bodysuit can be paired with pretty much anything. Check out the best outfit ideas that can make you stand-out from the crowd. 1. Classic, neck tie sleeveless bodysuit will go with white trousers and black tuxedo jacket. Add blush heels and miniature cream-white shoulder bag. 2. Black deep V-neck bodysuit with long sleeves can be tucked in fuchsia tailored trousers embellished with ruffles. Add blush rounded sunglasses and pink floral black heels. Pull this off if you want to look fancy. 3. White turtleneck bodysuit with long sleeves is an ideal addition to gray wide-leg trousers and maxi gray tailored coat. Add rounded sunglasses, ankle-strap black leather heeled sandals, and crocodile print gray clutch. 4. Halter-neck sleeveless black bodysuit looks fresh and feminine tucked in striped wrap trousers. Complete this outfit with black leather chunky Chelsea ankle boots. 5. White fishnet bodysuit can be tucked in high-waisted cherry red trousers. Add a matching color blazer and black lace-up flat shoes. This look will make you stand out without much effort. 6. All in gray motives. Go for a cream-gray bodysuit and team it with wide-leg pants, gray pointed-toe heels and cream-gray coat with fur collar. It might not be your style, but the seventies touch makes it look refined and elegant. 7. A semi-sheer sleeveless bodysuit ideally suits relaxed blush pants. Add gray vest lined in blush color and white slides. This look screams sophistication and confident. 8. Cream-beige long-sleeve tight bodysuit looks awesome! Add pinstripe navy wide trousers and low block heeled glossy pumps. 9. Sheer bodysuit ideally suits black leather wide trousers. You can pair it with black heeled sandals and clear rounded eyeglasses. Add a knitted cardigan to make this combo work for colder months. 10. A choker style white sleeveless bodysuit in floral embroidery can be tucked in black velvet bootcut pants. Finish this combination with a black-red plaid print shirt and ankle boots in dark red leather. 11. How about adding boho touch? We see a lovely muted pink velvet wrap top tucked in green velvet wide-leg trousers. Wea it with gray heeled pumps and glossy cherry red handbag. 12. Long sleeve high-neck pink bodysuit with cut-out details on its neckline will be an awesome addition for wearing with pastel peach wide-leg trousers. 13. A classic black bodysuit with spaghetti straps can be paired with tailored gray wide-leg trousers and relaxed-fit gray coat. 14. 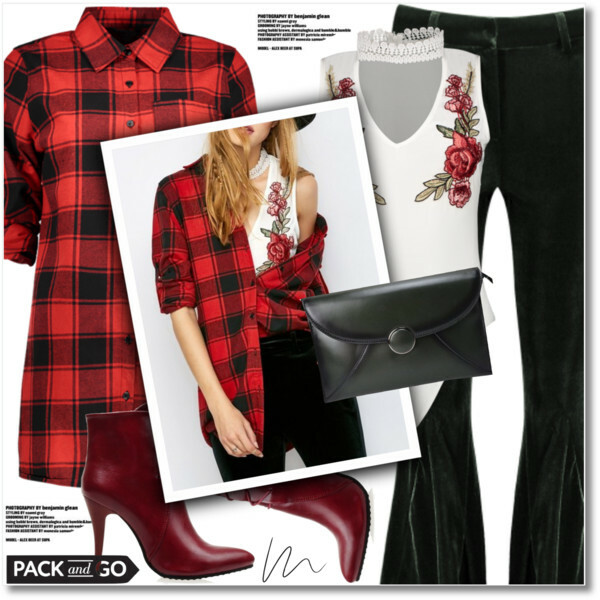 Front buttoned black bodysuit with short sleeves can be paired with grunge style essentials, like black leggings and oversized charcoal denim jacket. 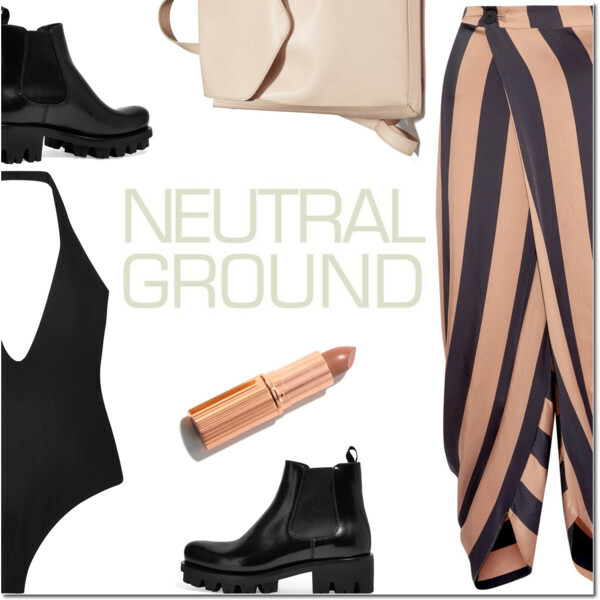 Add Chelsea black leather ankle boots and khaki green leather clutch bag. 15. White lace bodysuit with long sleeves is a perfect choice for teaming with high-waisted white tailored trousers, collarless white coat and lace cream-beige pumps. 16. High-neck knitted black bodysuit is a perfect choice for a weekend style. Pair it with black athleisure style trousers and black leather heeled mules.